THE SHINING, 1980. UK Release 1-sheet Original Vintage unfolded Movie Poster Starring Jack Nicholson and directed by Stanley Kubrick. Written by the famous novelist Stephen King. Jack Nicholson´s brilliant acting and rapid character decay is in part due to Stanley Kubrick persistent scene retakes. 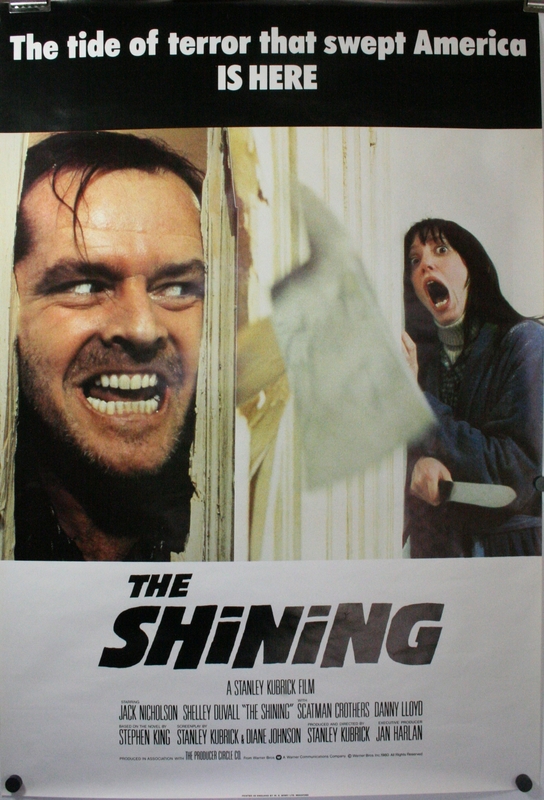 According to the Guinness Book of Records, “what is the shining” scene was shot 148 times! This classic UK release Horror movie poster is the most sought after version for this movie and is also the rarest. Sure to go up in value through time especially since its condition grading is near mint. To find this poster unfolded is extremely unusual and especially desirable.